Learn - Network - Grow - Click here to view conference photos! UL Special Topics - Determining the best thicknesses, Primed Steel Guidelines and Patching Guidelines. Presented by Phil Mancuso, Senior Technical Services Manager, ISOLATEK INTERNATIONAL. In the second part of our Back to the Basics Series, we will cover how to make sure you are using the best possible thicknesses by gaining deeper understanding of W/D & A/P ratios, and steel joist criteria. We will also touch on primed steel and patching guidelines. Click here to register. How to Selet a UL Design - Join NFCA and Phil Mancuso, Senior Technical Services Manager, ISOLATEK INTERNATIONAL, as we go Back to the Basics. Learn how to select the appropriate UL Design based on a given criteria. This will cover floor-ceiling & roof-ceiling assemblies, beams, joists and columns. Webinar is available to view in the NFCA Members Only Section. SFRM and IFRM Fireproofing call for ‘complete encasement’ of the building elements in Building Codes. In existing buildings, fire-resistance needs to be maintained to keep continuity of protection for fire and life safety in buildings. Patching SFRM fireproofing to maintain continuity takes place usually after many building services are in place. This webinar will cover code requirements and also equipment used to patch SFRM Fireproofing in new and existing buildings. Presented by NFCA Executive Director Bill McHugh & Graco’s Danny Carrillo, Business Development Manager for ToughTek Mortar Equipment. Webinar is available to view in the NFCA Members Only Section. 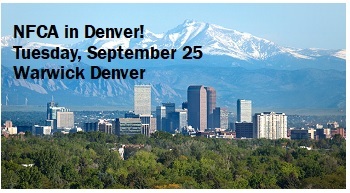 Join NFCA for a day of education specific to fireproofing and fire-resistance in buildings, at the Warwick Denver. Topics will include ICC's Building Code, NFCA Contractor Accreditation Program, Fire Resistance Test Standards, Key Issues SFRM & IFRM, Special Inspection, ICC International Fire Code and more! Lunch Buffet is included thanks to NFCA Manufacturer Supplier Member Sponsors: Albi Protective Coatings, Carboline, GCP Applied Technologies, Hilti, Isolatek International, and Sherwin Williams. Click Here to View Agenda. All Seminar presentations are available in the NFCA Members Only Section. NFCA Free Webinar Series "Best Practices & Overall Equipment Safety"
Join NFCA and Lowell Knott (LK), Technical Services, Hy-Flex Corp., as LK covers the topics of Electrical Repair, Material Hose Selection, Hydraulic System Maintenance, Rotor/Stator Maintenance, Ball Stop Pin Wear and more! Webinar and presentation available in "Members Only". Thank you to everyone who attended the 2018 NFCA Conference in San Diego! All Conference presentations are available in the "Members Only" Section. NFCA Webinar - UL Fire Resistance Testing & What it Means to You"
Luke Woods, Principal Engineer, Fire Resistance and Containment, UL,covers the basics of ANSI/UL263 (ASTM E119-ULC-S-115) Fire Tests of Building Construction Materials, for beams, columns and walls; UL723 (ASTM E84-ULC S-102.2) Test for Surface Burning Characteristics of Building Materials when fireproofing is exposed; and UL2079 (ULC-S-115) Standard for Tests for Fire Resistance of Building Joint Systems. Presentation available in the Members Only Section. Join NFCA as Carol Schary, President & Owner and Valentin Esaulenko, Technical Manager, Nathan Kimmel Company, present Fireproofing Injection Systems. Carol and Val will cover benefits of injection, system setup, injection system operation, maintenance and troubleshooting. Presentation available in the Members Only Section. Eric Potorski, National Sales Manager, Ruwac, will take you step by step through the new silica standard. Covering everything from exposure limits, methods of compliance specific to fireproofing material, respiratory protection, housekeeping, medical surveillance, and record keeping. An overview of the steps required for OSHA compliance, made simple. Get the facts! Presentation available in the Members Only Section. All attendees must register – space is limited and first come first serve. • Certificates of Attendance will be issued for self-reporting Continuing Education Units. Silica's health effects on the workforce, the OSHA Standard coming in September, and the compliance expectations for contractors on the job site. Presenter Hilarie Warren, MPH, CIH, Georgia Tech Safety and Health Consultation Program, presented this topic at the 2017 NFCA Conference in Atlanta. This webinar will provide an explanation of the issue and what OSHA will require from contractors. Presentation available in the "Members Only" section. HSS Beams/tube steel - how do you fireproof? Dealing with cement-based materials and alkyd primers? Determining additional thickness for beams with rated walls. Join NFCA, John Dalton, GCP Applied Technologies and Phil Mancuso, Isolatek International, as we continue the "Top 10 List" from the NFCA Conference in Atlanta. Presentation available in the "Members Only" section. The 2017 NFCA Fireproofing Conference was held March 15-17, 2017 at The Ritz-Carlton, Atlanta. Over 120 people in the fireproofing industry attended, making this a recorded breaking year for attendance! Prior to the conference, thirty five (35) people attended the NFCA Contractor Accreditation Program (CAP) Training for IFRM and SFRM. Thank you to Phil Mancuso, Isolatek International and John Dalton, GCP Applied Technologies, for their continued outstanding support toward the CAP Training sessions. NFCA Fireproofing Educational Conference kicked off at the Welcome Reception, a great evening of meeting new faces and reaquainting with the Fireproofing Industry. Thank you to NFCA sponsors: NFCA Associate Members - CJ Spray, Nathan Kimmel Company, Western Equipment Manufacturing, Hy-Flex Corporation, The Estimating Edge, Clark Dietrich Building Systems; and NFCA Supplier Members Carboline, GCP Applied Technologies, Hilti, Isolatek International, and Sherwin Williams. Back by popular demaind, the NFCA "Top 10" List of Questions and Issues of Fireproofing Contractors was once again a favorite. So much great information and never enough time! The "Top 10" List will be finished via NFCA Webinar. Thank you to the "Top 10" panel members - Phil Zanghi, GCP Applied Technologies; Phil Mancuso, Isolatek International; George Guanci, Sherwin Williams; Sean Younger, Carboline; and Ernst Toussaint, HILTI. Luke Woods from UL spoke to the conference about thermal barriers and fire resistance testing issues. We heard from NFCA Associate and Supplier Members during the Forum Sessions. The hot topic of Workforce Development was delivered by Kevin Dougherty, Trainer, Author and Dynamic Speaker. Kevin shared powerful information while entertaining the crowd! Thursday afternoon NFCA Committees came together to establish and prioritize the issues and needs to be addressed within the next year and beyond. Committees defined were Technical Code, Technical Standards, Safety, and Education/Program. Committee Leaders will be in contact with the NFCA Membership for input. Thursday ended with Dwayne Garriss, Georgia State Fire Marshal and International Code Council President, who addressed the conference and spoke about the importance of Fire Resistance in new and existing buildings. The crowd joined for another fun evening of fellowship with cocktails and dinner. Phil Mancuso, Isolatek International and John Dalton, GCP Applied Technolgies were both recognized with NFCA Outstanding Service Awards for their never-ending support toward NFCA's education and life safety. Ron van Frankfoort, Carboline, was also recognized with a NFCA Outstanding Service Award for his service on the NFCA Board of Directors from 2012 to 2017. Friday the crowd heard from Kevin Dale, Flatt & Dale, about contracts - what you should know and look for! Wes Hanson, Raymond San Diego, presented the Project Highlight - "OCPC: Jobsite Challenges & Extra Work Compensation". We then heard from Carl Hudson, Federal Reserve Bank of Atlanta on the economy. The conference ended with a very informative presentation from Hilarie Warren, Georgia Tech Research Insitute, on Silica exposure for the workforce and what contractors need to know about the OSHA Standard coming into effect in June. Conference presentation are available in the Members Only Section. Join NFCA and Phil Mancuso, Technical Services Manager, ISOLATEK INTERNATIONAL, as Phil discusses how to deal with situations that may arise with your fireproofing project. Spanning gaps from beams and columns to rated masonry walls; cold weather applications and potential solutions; roof future floor (insulation over unprotected floor deck), and what information you need to know in order to determine protection on trench headers and electrical inserts. Presentation available in the "Members Only" Section. Presented by NFCA Members Chris Little, Clark Dietrich Building Systems, and Sean Younger, Carboline. Chris and Sean will discuss Lath Materials - types, how they are made, ASTM, applications and fire rated requirements for commercial, industrial and other uses. Join NFCA and John Dalton, Technical Service Manager - Fire Protection Products, GCP Applied Technologies. The many different test standards and code requirements have created a confusing array of products and systems that claim to provide a thermal barrier for foamed plastic.This webinar will try and clarify what is needed, what is acceptable and what is not. Roger Tickner, Tickner & Associates, Richmond Hill, Ontario. Join NFCA and John Dalton, Technical Service Manager - Fire Protection Products, GCP Applied Technologies, as John discusses substitution of beams from beam-only designs into assemblies. Presented by: John Dalton, GCP Applied Technologies; Phil Mancuso, Isolatek International; and Bill McHugh, NFCA Executive Director. Topics: 20 Ft. Rule - Ways to deal with cold weather application - How to compete with noncertified products. Thank you to all who attended the 2016 NFCA Fireproofing Educational Conference held at The Adolphus, Dallas, Texas, where the NFCA Membership came together for a great week in the fireproofing industry. Twenty Six (26) people attended the NFCA Contractor Accreditation Program (CAP) Training for IFRM and SFRM. Thank you to Phil Mancuso and Dave Dratnol, Isolatek International; and John Dalton, GCP Applied Technologies, for their continued outstanding support toward the CAP Training sessions. NFCA kicked the conference off with the Meet, Greet & Experience Welcome Reception. Thank you to NFCA sponsors: NFCA Associate Members - Nathan Kimmel Company, Western Equipment Manufacturing, Hy-Flex Corporation, The Estimating Edge, Graco Inc.; and NFCA Supplier Members Carboline, GCP Applied Technologies, Isolatek International, and Sherwin Williams. Over 80 NFCA Members attended the conference on Thursday and Friday. We jumped right into the International Building Code Update and Review, followed by the "Top 10" List of Questions and Issues of Fireproofing Contractors. So much great information and not enough time! Phil Mancuso, Isolatek International; Bob Glendenning, Sherwin Williams; and Sean Younger, Carboline. need to have in place to protect their employees and their business. Doug Evans, DHE Consulting, Las Vegas, shared on "High Rise Building Issues". Luke Woods, Principal Engineer Fire Resistance and Containment from UL spoke to the conference about UL Designs and Technical Issues. NFCA President Howard Towler, ACME Fireproofing, addressed the membership at the NFCA Annual Meeting. Bubba Winston, American Coatings Corporation, who has served on the NFCA Board of Directors since the beginning in 2002; was named Director Emeritus and will serve as an Honorary Member of the NFCA Board of Directors. Thursday evening the membership gathering for a reception and dinner. Bret Simpson, GCP Applied Technologies was presented with an NFCA Outstanding Service Award. Bret has served as NFCA Treasurer from 2009 to 2016. The NFCA Board is grateful for Bret's continued guidance and insight. Howard Towler, ACME Fireproofing was presented with an NFCA Outstanding Service Award for serving as 2015-2016 NFCA President. Thursday night ended with extreme comedic bingo. Thanks to everyone who stayed and played! Friday the crowd was wowed by two phenomenal Fireproofing Project Highlights! First, Jonathan Wohl, Wohl Diversified Services, Port Chester, NY, shared his personal history with the World Trade Center, from 1980 to present day, through a photo retrospective which was an amazing, stunning and sometimes chilling, presentation. Next, Martin Rodriguez, Martin Bros., Gardena, CA, presented on The Wilshire Grand project, a 73 story building located in Downtown Los Angeles. Martin Bros. will spray over 70,000 bags of fireproofing on this current and ongoing project. Martin shared the challenges and solutions used to overcome. Both presentations will be available in the Members Only section. Thank you to Jonathan and Martin for preparing such outstanding presentations and sharing with the membership. Tom Siems, Senior Economist, Federal Reserve Bank of Dallas, who gave a very informative presentation on economic patterns, trends and forecasts - great information. All in all, a great week in Dallas was had by all. Financially, NFCA is strong and the membership is growing with 25 new members since November. NFCA's Staff - Sandy Addison and Bill McHugh - is thankful for the great group we work with at NFCA. Keep an eye on NFCA-online.org for info about future programs. Thanks to all who attended and to those who did not, we look forward to seeing you at a future conference. Bill McHugh, Executive Director, National Fireproofing Contractors Association (NFCA), will give an overview of NFCA’s Contractor Accreditation Program for IFRM and SFRM. He will discuss the upcoming training, the process and how the program will benefit your company. Bill will also talk about NFCA’s 2015 progress and what to look for in 2016 from NFCA and the fireproofing industry. We encourage you to take advantage of this opportunity to have your questions answered and learn about NFCA. Fireproofing Contractors, Architects, Building Inspectors, and Fire Marshals, take advantage of this one-day learning experience to learn about fire resistance rated construction – Structural protection using fireproofing gives the building a first line of defense against fire. Sponsored by Construction Advancement Institute, and Free for Fireproofing Contractors, Architects, Specifiers, Building Code Officials and Fire Marshals. Frank Marino, CSP, Vice President of Safety Check, Inc., discusses current views from OSHA and OHSA Can, fireproofing scaffold safety, fall protection and more. Frank’s insights on Safety for many construction industry trades has been well received and well respected. Bill McHugh, NFCA Executive Director, discusses important information all contractors should know about the new changes in the IBC 2009, 2012, 2015 Chapter 17 Special Inspections. Hy-Flex Corporation's Lowell Knott (LK) and his associates cover best practices and 'tricks of the trade' for maintaining equipment efficiently. NFCA’s 2015 Fireproofing Week in Arizona wrapped up on March 13, 2015. The sun was shining on the Fireproofing Industry all week long as NFCA welcomed attendees from across the United States and Canada, for a week of education, learning, accomplishment, visioning, socializing, and much more! Twenty people successfully completed NFCA’s Contractor Accreditation Program Training for SFRM and/or IFRM; and nine more NFCA Contractor Members will become NFCA Accredited Contractors. That brings the total Accredited Contractors to almost 60% of the NFCA Membership. 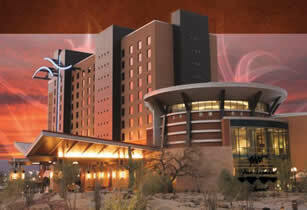 The Fireproofing Educational Conference was well attended and the schedule was full of dynamic speakers who presented on current industry topics such as Dodge Data Analytics’ Construction Economic Forecast; the World Trade Center’s effects on the ICC and NFPA Building and Fire Codes; OSHA Safety Regulations & legal issues; a very detailed building code panel, and a lift equipment safety program as well. The crowd was awed by Fireproofing Project Highlights presented by two NFCA Contractor Members. Keith Kennedy, Aries Contracting Ottawa, Ottawa, Ontario presented the huge and challenging Lansdowne Stadium Project and some unique Ottawa information; and Tom Anderson, Clayton National, Phoenix, Arizona presented the Fireproofing on the massive MGM City Center Project. Code, code and more code. We heard from Joe McIlveney, City of Phoenix, who shared his expertise and perspective on fireproofing and gave contractors many suggestions on the best ways to work together with local building code officials and in the code development process. Thursday afternoon’s Expert Code Panel included presentations, information and a great QA session from NFCA Members John Dalton and Bret Simpson, Grace Construction Products; Dave Dratnol, Isolatek International; Don Falconer, Falconer Engineering and Testing provided a great National Building Code of Canada update while adding comparisons to the International Building Code; and Luke Woods, Underwriters Laboratories challenged us to get involved at UL’s Standards Technical Panels and Fireproofing activities at UL. All NFCA Conference presentations and information are available to NFCA Members in the Members Only section at NFCA-online.org. Thursday evening the group came together for dinner and awards. NFCA Awarded 2013/2014 President, Paul Steele, Raymond Interiors, for his Vision, Leadership and Commitment to the Fireproofing Industry, with the Outstanding Service Award. And, NFCA’s Awards Chair Howard Towler presented an award to Sandy Addison, The McHugh Company for membership growth. A big THANKS to the 2015 NFCA Conference Sponsors! NFCA Annual Meeting and Elections – NFCA’s membership in attendance built the quorum needed to do some business and elect the 2015/2016 Board of Directors, listed below. All in all, a great week in Phoenix was had by all. Plus, it’s been a great year as well. Financially, the association is on strong footing and with 15 new members since November with many prospects in sight, the outlook is for further growth is great. NFCA’s Staff – Sandy Addison and Bill McHugh - is thankful for the great group we work with at NFCA. We applaud your founding Executive Director Hugh Dudley for leaving a great base from which to build. What a great NFCA Week it was! Educational Programs for the SFRM and IFRM Contractor Accreditation Programs on Monday afternoon & Tuesday prepared attendees to take the NFCA SFRM/IFRM Exams Wednesday. NFCA's Golf Outing went well also..albeit a bit chilly for March in New Orleans. NFCA's Annual Conference Thursday & Friday featured dynamic speakers after a great welcome from NFCA President Paul Steele, Raymond-Southern Califiornia. Check out the NFCA Conference presentations! UL's Primary Designated Engineer for Fire Resistance Luke Woods & UL Qualified Contractor Program's Matthew Schumann. Isolatek's Dave Dratnol on Code Issues. ASHE's Jonathan Flannery on why Healthcare Construction is different than working in other types of building occupancies. NFCA's Bill McHugh on the effects of the ICC's Ad Hoc Committee on Terrorism Resistant Buildings. NFCA Committee Meetings were well attended. Check out the Enews for more information. NFCA Annual Membership Meeting & NFCA Member Awards Banquet had two key individuals in NFCA's founding and continued success. NFCA Board Member Bubba Winston and also founding Executive Director Hugh Dudley were both honored at the dinner. During the dinner, we had Hugh Dudley on the phone line piped into speakers so he could participate in the celebration of his retirement. Many offerred congratulations for a career well spent. Check out the link above to see what the awards were about. "IFRM Fireproofing" "IFRM Fireproofing" "IFRM Fireproofing" "IFRM Fireproofing" "IFRM Fireproofing" "IFRM Fireproofing" "IFRM Fireproofing" "IFRM Fireproofing" "IFRM Fireproofing" "IFRM Fireproofing"
"SFRM Fireproofing" "SFRM Fireproofing" "SFRM Fireproofing" "SFRM Fireproofing" "SFRM Fireproofing" "SFRM Fireproofing" "SFRM Fireproofing" "SFRM Fireproofing" "SFRM Fireproofing" "SFRM Fireproofing"
"Fireproofing contractors near me" "Fireproofing contractors near me" "Fireproofing contractors near me" "Fireproofing contractors near me" "Fireproofing contractors near me" "Fireproofing contractors near me" "Fireproofing contractors near me" "Fireproofing contractors near me"